Probably the greatest Irish export in the industry, Paddy Power have been able to cement themselves as one of the biggest betting companies going. Their unique approach has included many memorable, if not controversial marketing campaigns that has allowed this quirky Irish brand to really stand out from the crowd. But, like all products, if there is no substance behind the clever marketing, players will soon drift. Luckily for Paddy Power they have been able to back up the hype with a great coverage of plenty of sports, but in particular, that of football betting. As per with our reviews, we like to kick them off with a look at what we think is the most important; odds and betting markets. The site can have all the gimmicks and features in the world, but if they offer poor odds then they know there’s a plethora of sites that are willing to step in and take their custom. We started our test, as ever, looking at Premier League games. We know this is where the vast majority of you are going to be betting, but we also know that this is also where the most competitive markets lie, so any success here is going to stand the bookmaker in really good stead moving forward. Paddy Power follow what appears to be an increasing trend with these bookmakers in that their pricing structure is solid without being spectacular. For example, with pretty much each of the 12 or so Premier League games that were on site at the time of writing, they weren’t best priced for any of the Match Result bets. This is quite surprising to be honest as we would have though they would have had a few best prices. The odds were never far away though, so where there were games where a bookie had best price of say 2.00, Paddy Power would be around the 1.95, just behind. This was a common theme throughout and on balance, across the three results (home win, away win and draw) they were very consistent. It’s probably worth noting that in none of our tests did we ever see Paddy Power worst or even joint worst price on any bet. We also checked out the over/under goals markets as this is another popular one to choose from. Again, similar results in that no best prices, but right up there. It’s almost as if Paddy Power are at a point where they don’t need to offer the best price to draw people in and instead, rely on their already established fan base by rewarding them with consistent prices. Is this a good thing? Tough to say, but it’s a dangerous line if they get left behind, which we would assume they won’t. This theme ran throughout most of the lower leagues as well, such as the Championship, League 1 and League 2. In fact, at no point did we see any game that was best price or equal to best price with any game. On reflection, we’ve come to the conclusion that this is actually really poor form. To not have at least joint best price on any market of the Match Result from over 30 games looked at, is not good enough for what is supposed to be one of the best in the industry. Consistent they may be, but we think that this is something that needs to be addressed and they are at a point where they could be very easily left behind. As we move into the markets section, it’s much more business as usual. The selection for pretty much all games in England is really good and the layout of the site makes it really easy to quickly jump to where you need to be. You aren’t overloaded with markets to bet on and we really enjoyed seeing the Power Prices, where the team of traders come up with bets to include a small price boost on. Some of them are really great value and good fun at the same time. The international selections are on point throughout the site and cover a host of countries as a result. You’ll find the likes of Serie A, La Liga and other top European leagues make up the best of the rest, with huge coverage for each of these games. The markets tend to slow down a little as you move down the leagues, but it’s fairly comparable to that of the coverage in England. Overall, we would say as a rule of thumb you get about 10% less markets with these leagues than the English equivalents. 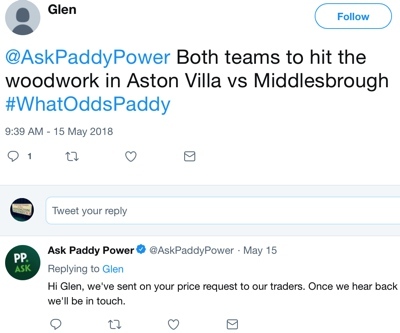 What Odds Paddy is Paddy Power’s social media campaign that allows you to choose your own, unique bets and then Paddy will come up with a price for that bet. All you need to do is tweet Paddy Power using the hashtag #WhatOddsPaddy and they will get back to you with a price and link to that bet. This has become one of the biggest and best features on the site for us. They’ve clearly gone to town to create a quality section to work with and give it a lot of exposure on their site, which not all bookmakers do. You’re also able to back other people’s selections and for the Premier League games these can be extensive and highly random. Some of them are actually outright hilarious, selecting the goalkeeper to score and save a penalty for example. It’s Paddy Power’s nature to get these bets live and it wouldn’t actually surprise us if they paid out on the bet as well. Whilst this article isn’t about the offers that Paddy Power have, we did want to just quickly highlight that there are few bookies that are able to offer such an exciting range. They are generally on the spot kind of offers, such as early payouts or even paying out on bets just like the one we mentioned above. You simply have to check the website out to see what’s on offer as everyday they seem to change and some offer huge value. The specials board is one of our favourite parts of the whole site. It offers an amalgamation of weird and wonderful bets including transfer bets, power prices and manager specials. 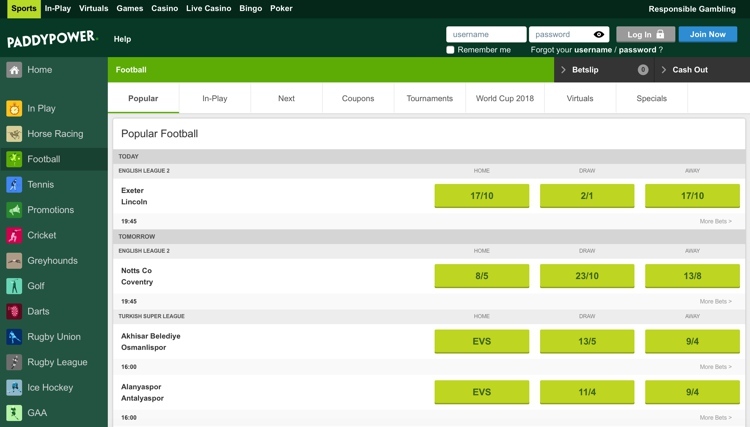 It’s not necessarily something that is unique to Paddy Power, but there are few, if any bookies that offer the range of markets that Paddy Power are able to. The cash out function at Paddy Power has gone down as a great success. For those that aren’t aware of this feature (where have you been? ), it simply allows you to settle a bet before the market for that bet has completed. You then take the price and the returns on offer and the money goes straight into your account. The final result is irrelevant as your bet is already settled. The one downside to this feature is that it’s not clear as to which games or more specifically, markets are open to that of cash out betting. They don’t state that there are any restrictions, but if this was the case then they would be one of very few to offer this. We would assume that all markets that turn in play will be available to cash out if needed. There was a time on Paddy Power where you’d shudder at the thought of trying to work through the sites in-play betting section. But, the recent re-design has meant that it is now so much better than before and actually quite nice to use. 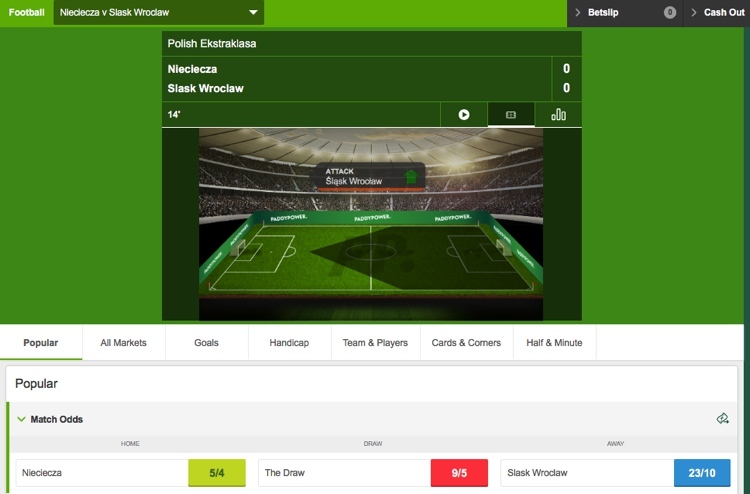 You can see from the image about that the layout is very clean and whilst you can’t seem to change the market on offer from the Match Result, it does offer up a great example of how in play betting should be done. One gripe would be that the font is a little small, but that’s highly likely just because we are getting old! As you work your way into each game, the good times continue to roll and with it you are able to get an overview of popular markets, before switching to wherever you need to be from that. But, the best bit has to be the match centre at the top. 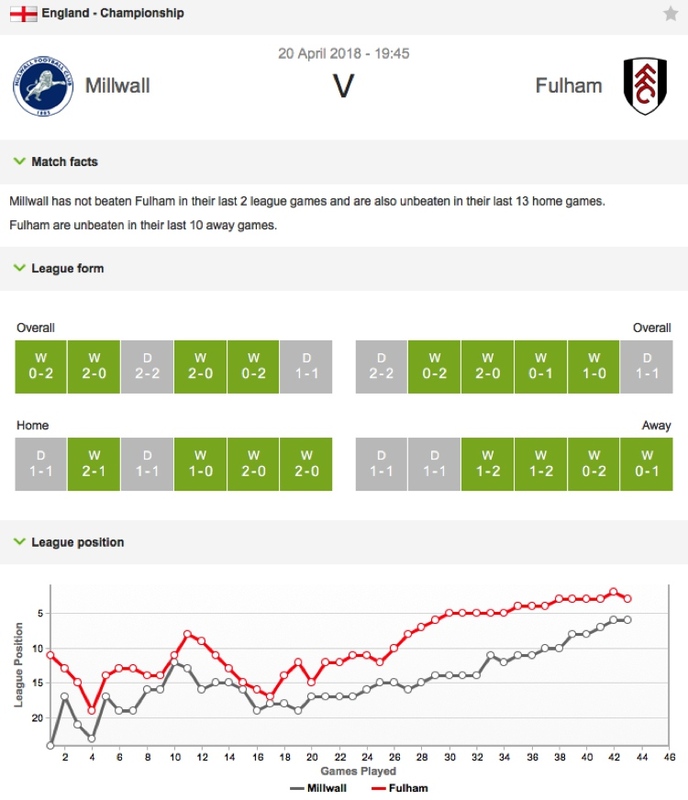 Here not only can you see the latest score, but you can also flick between the live stream of that game where available, the match overview showing attacks and position on the pitch and also the stats for the game, which are really in depth and a vital addition to form better value bets. It’s not perfect though and at times we did find it a little sluggish. There were also times where it seemed to take an age to accept our bet. A slightly delay is very normal, but once it took over 10 seconds, which can be a long period of time in a football match. Luckily these issues were few and far between though, and on the whole the live betting experience was very good. Paddy Power do offer a stats section, although it is a little hard to find as it’s hidden away in the bottom of the left hand sidebar. It’s also a unique package by a company called Touch Line, of whom before this we had never heard off. Starting with the bad, the fact that each game aren’t linked up to their stats is a frustration. You need to naviuagte through where you’re wanting to get to and whilst this only takes a few seconds longer, can be frustrating if you’re searching through multiples of games. Once in though, the section is definitely one of the best looking that we have seen. It starts off with a few match facts about the game, then runs through to league form, followed by league positions throughout the season. The lower half shows a head to head record between the two reteams, before finally if shows winning and losing margin of both teams either at home or away, another part we’ve not seen before. All other leagues and bets are capped at £50,000 payout. The usual suspects are all on offer to deposit and withdraw your fuds, such as Visa, Mastercard, Neteller and PayPal. Deposits start as little as £5 and incur no fees at any point. It’s also worth noting that you can use a PPlus card. This is a prepaid MasterCard that is linked up to your account for you to withdraw funds from an ATM or use at any point of sale that accepts Mastercard. It’s been a bit of a mixed bag from Paddy Power if we are being honest. As one of the biggest, you have to expect the best, but this isn’t always the case, especially when it comes to pricing. We wonder if the company rely on clever marketing to overcome what is actually a pretty average pricing structure when you really start to dig a little deeper. That being said, they are still better than the vast majority out there and we love the little quirks of the site. The Twitter account is hilarious as well! The recent redesign has made a huge difference and the site works great on mobile as well now. It’s not perfect by any means, but they are definitely solid what they set out to do.